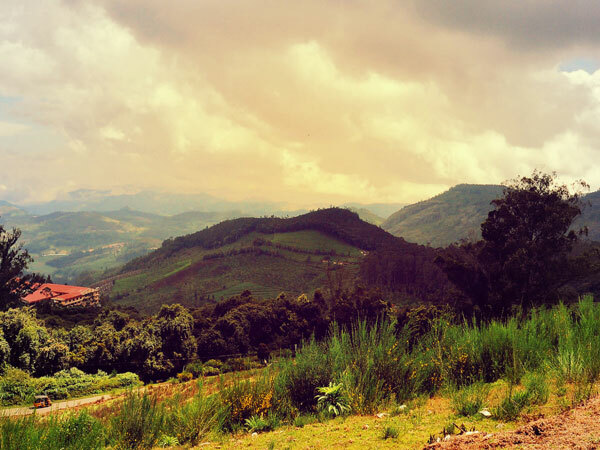 »Road less Travelled – Ooty's Hidden Treasures! Road less Travelled – Ooty's Hidden Treasures! Ooty is among the most common holiday ideas found in travel websites and guides. We agree Ooty is indeed beautiful with its many parks, flower shows, green hills and moist winding pathways. But there are many offbeat tracks that lead from Ooty, to places that will astonish you with its natural splendour. Hideaways where if you are lucky, you might be served the thrilling sighting of a leopard or the mystical sight of a Nilgiri Tahr. So for your next holiday be less of a tourist and more a traveller. Explore the below travel guide on Ooty for that rare travel experience into the depths of wilderness! Among the roads less travelled are the smooth slopes of green and interesting culture of the Toda Tribe. Toda people are famous for their unique homes called dogles and intricate embroidery that is passed down generations. This is one of the oldest railway lines in India, built by the British, it is still being used. This site has been conferred the title of a UNESCO World Heritage Site and the journey aboard it is unforgettable. The highest peak in the Nilgiri Range, Doddabetta Peak towers at 2,623 mt. Only 10 km from Ooty this is a great place for trekking and hiking activities. The tourism body has also provided a telescope for the travellers. Enjoy the panoramic views of the surroundings. Another road less travelled is located 19 km from Ooty, where you find the magical waters of Pykara river. It holds spiritual significance for the Toda Tribe. The surrounding area boasts of a variety of wildlife. The river continues down as Pykara falls. Made popular by the Indian movie Roja, this beautiful place near Ooty is mostly a reserve forest and cannot be accessed by visitors without prior permission from the forest officials. It is the first International Biosphere Reserve in India and was built to protect the Nilgiri Tahr. It is currently on the tentative list for a UNESCO World Heritage Site status. A hidden gem from most visitors, this valley is the main source of water for Ooty and is situated in off-limits forest reserve. However some parts house jungle stay options and a visit to this place of postcard beauty is a must! The waters look as precious as the gem it is named after. Surrounded by lush green reserve forests, this lake snaking in-between is a sight to behold. The nearby dam also boasts of a viewpoint to enjoy the surrounding scenery. Situated close to the Emerald lake, this is yet another scenic location that nature lovers bound for ooty should not miss! With rolling grasslands, tall trees and the lake in-between, tranquilty is guaranteed. Located in off-limits reserve forest, visiting this beautiful lake might require special permission from the forest officials.